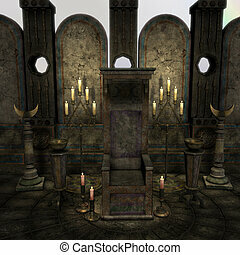 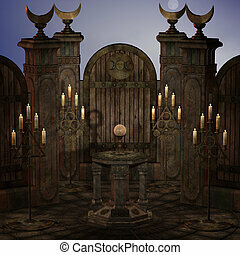 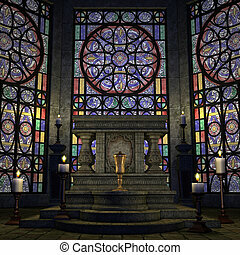 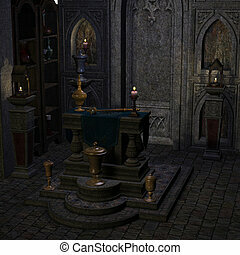 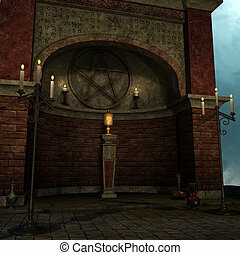 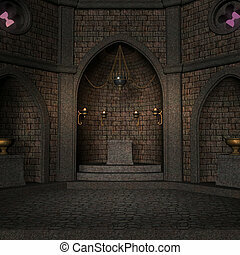 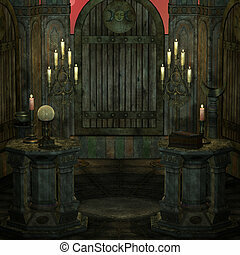 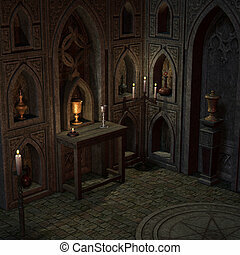 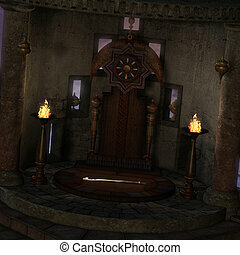 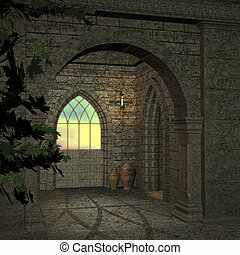 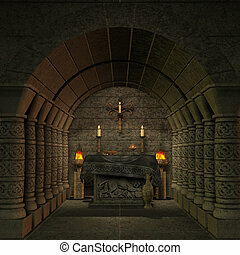 Archaic altar or sanctum in a fantasy setting. 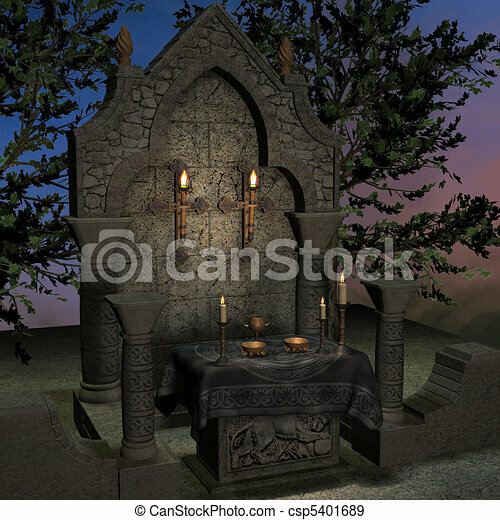 3d rendering of a fantasy theme. 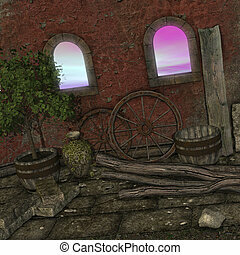 ideal for background usage. 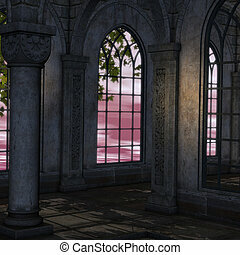 magic window in a fantasy setting. 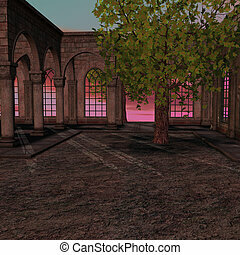 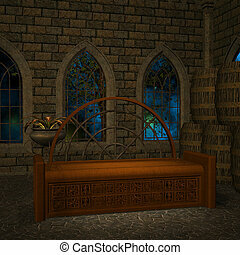 3D rendering of a fantasy theme for background usage.